On the day when our joint book comes out in paperback in North America, it is my great honour to announce that Emily’s new non-fiction book, Out of the Shadows, will be published by Counterpoint Press over there, most likely in summer 2020. And the North American audio rights have been acquired by Recorded Books, who also produced the audio version of A Secret Sisterhood. In the midst of our celebrations, I reflect on our circular literary journey from a nervous first exchange of drafts to co-authoring and back again. I first read Emily’s creative writing a decade and a half ago, when she was still in Japan (where we’d met as young English teachers) while I had returned to the UK and was living back with my parents in Birkenhead. The package of word-processed pages, which had wended their way from Emily’s shoebox apartment to my pink-walled childhood bedroom, lay unopened for days on end. During my shifts front-of-house at a local cinema and in between protracted break-up conversations with my long-term boyfriend, my faraway friend’s unread work kept playing on my mind: what if I didn’t understand it, or couldn’t think of a response, or hated every word? Part of me regretted our agreement to exchange writing samples. Although we’d been friends for two years, and had known about our shared dreams of publication for the past twelve months, I wondered whether our promise to read and give feedback on each other’s work had been too hasty. With my home, job and relationship all feeling temporary, I held onto writing and friends for stability. Both, I prayed, would remain in my life for the long haul. And yet, I dreaded receiving Emily’s feedback on my fledgling fiction. I wasn’t sure I had much to offer as a critic, either, and I was worried about the strain the discussion might place on us. But as soon as I read Emily’s story – pen in hand and bolstered by pillows – I felt a sense of hope. The compelling narrative, enigmatic characters and captivating sensuality introduced me to a new side to my friend. I was brimming with ideas and comments and questions. For the first time in a while, I felt confident about the future: here was a friendship that could only be deepened by our daunting literary endeavours; here was someone I sensed would become my constant writing companion and confidante. Neither of us could have predicted the extent to which we would walk alongside each other during our long, shared journeys to publication: postgraduate degrees in creative writing from the same programme; lecturing jobs at the same universities; thousands of draft pages covered in each other’s scrawl. 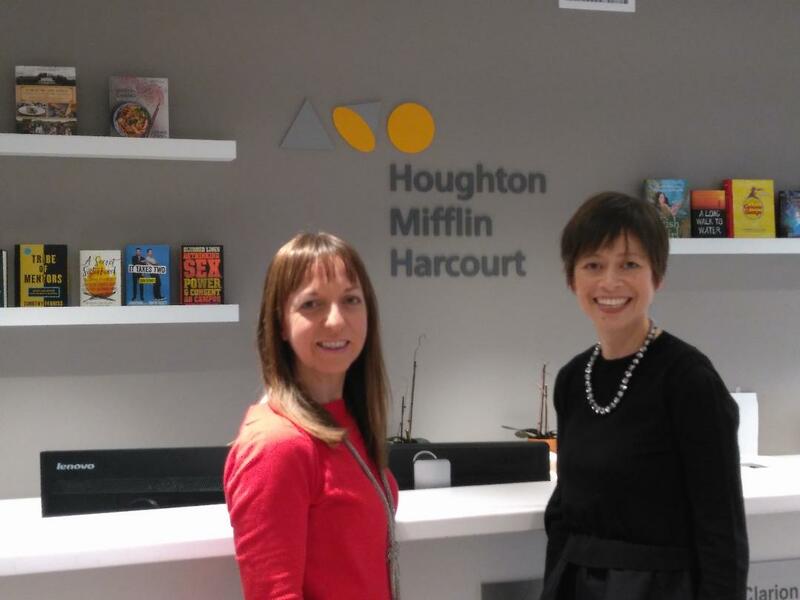 When we finally attended each other’s book launches or award ceremonies – having both by then accumulated stacks of rejection slips – the celebrations felt jointly earned. After all, we knew each other’s writing almost as well as our own, detecting behind each published page the ghostly presences of killed-off characters, discarded scenes and amputated lines. 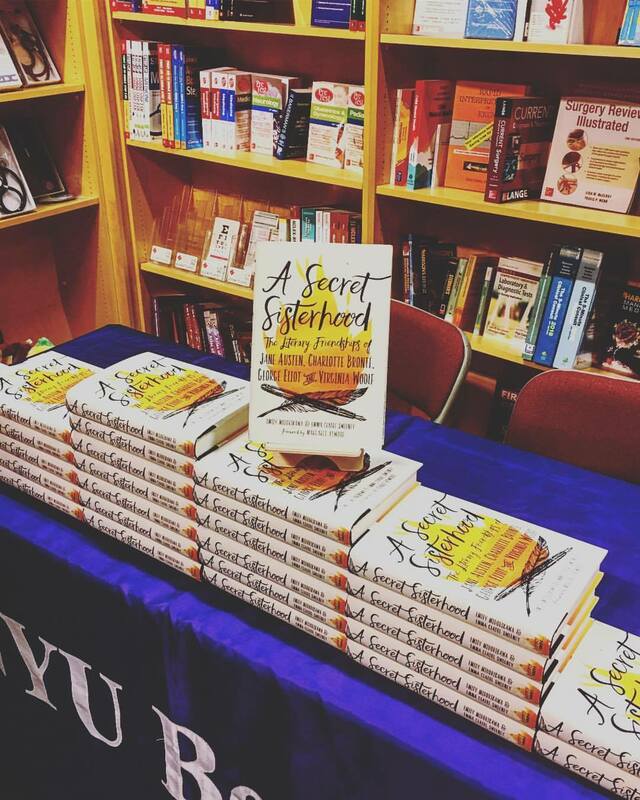 The North American paperback of A Secret Sisterhood, published by Houghton Mifflin Harcourt, is out now. Back when we first plucked up the courage to exchange our earliest drafts, we’d hardly dared dream of such intense collaboration, let alone the prospect of seeing our names published side-by-side. 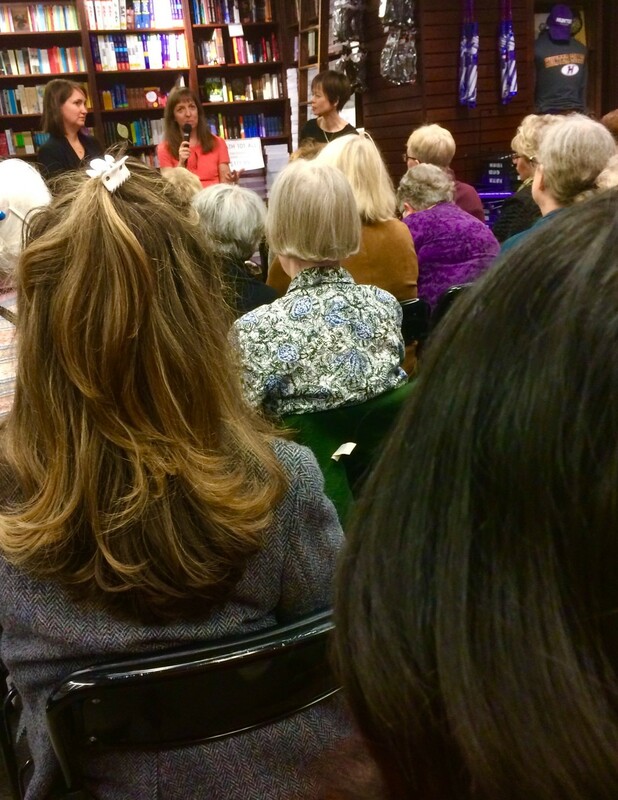 The first time we enjoyed this privilege was when we pitched a joint idea on female literary friendship to The Times. 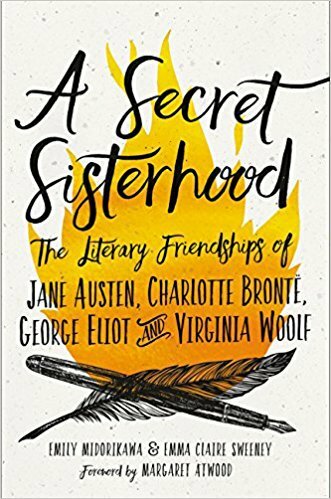 And, of course, we would later experience the joy of seeing our names together on the cover of our co-authored book, A Secret Sisterhood: The literary friendships of Jane Austen, Charlotte Brontë, George Eliot and Virginia Woolf. Writing together has brought us countless chances to share a creative process that is usually characterized by solitude. Instead, we’ve ferried bulging files of notes between each other’s homes; pored over forgotten manuscripts in far-flung archives; eaten fry-ups together after editing through the night; travelled across the USA on the Secret Sisterhood book tour, knowing that the friend we sat beside on stage was ready to pitch in whenever we needed help. Even the inevitable difficulties of co-authorship have ultimately enhanced our friendship and our writing lives. We learnt, for instance, that we can get over fiery sleep-deprived arguments, that our literary disagreements invariably challenge us to come up with new and more robust ideas. Our joint research for A Secret Sisterhood paved the way for each of our new books. I have become increasingly fascinated by another of Virginia Woolf’s female relationships – one that instilled in Woolf such fear and shame that she suppressed it from accounts of her life. Consigned to the footnotes of literary history, this woman will take centre stage in my novel based on her life. Fiction writing marks a homecoming for me since my debut, Owl Song at Dawn, was a novel that explored Britain’s little-known history of learning disability through the lives of twin sisters born in Morecambe in 1933. Emily, however, will be deepening her practice as a writer of non-fiction. During our Secret Sisterhood research trip to the New York Public Library, Emily transcribed a cache of letters from Harriet Beecher Stowe, the American author of Uncle Tom’s Cabin, to her British female friend George Eliot. Emily became fascinated by Stowe’s interest in Spiritualism – the belief that the living have the power to communicate with the dead. Out of the Shadows will be published by Counterpoint Press, most likely in summer 2020. Through this, Emily discovered a transatlantic community of Victorian women whose clairvoyant claims secured them unprecedented levels of power and celebrity. Emily’s book proposal for Out of the Shadows introduced me to the mysterious world of seances, trance lecturers and former child mediums, who spoke up about female suffrage and draconian lunacy laws, delivered powerful political oration, advised Wall Street brokers, and even, in one case, stood as the first female presidential candidate of the United States. I know that Emily has been spending hours on end in the library, and that her draft chapters are stacking up, but I have only caught glimpses so far of the stories they might contain. Soon, I hope, Emily will send them to me for feedback. Fifteen years ago, when we first exchanged work, I felt almost paralyzed by the unknown territory contained in Emily’s word-processed pages. Now, I will pick up my pen straight away, curious to see where my friend’s research has taken her, impatient to read her words once more. On this journey back from co-authoring to writing separately, it is this renewed sense of mystery that I most relish – the opportunity to be taken somewhere entirely unexpected, led every step of the way by a trusted friend. A Secret Sisterhood: The literary friendships of Jane Austen, Charlotte Brontë, George Eliot and Virginia Woolf is out in paperback in North America today. In London tonight we plan to celebrate together with a glass of bubbly and a home-cooked meal. We’ll be raising our glasses to the US edition of A Secret Sisterhood, which Houghton Mifflin Harcourt are publishing stateside today. And we’ll also be toasting all the readers of Something Rhymed who encouraged us to write a book on female literary friendship. It won’t be long before we get to help this edition make its way into the world during our US book tour. In the meantime, we have upcoming UK events at Chawton House Library, Bloomsbury Literature Festival and Wantage Literary Festival. And there’ll be more soon in Kirkus, Lenny, LitHub, The Millions, The Paris Review, Smithsonian, and TIME. We’ll be back with another guest blog from another pair of modern-day female writer friends. Even though writers are supported by a team of people at their publishing house, bringing a book into the world can sometimes feel a lonely business. There’s usually one person hunched over her desk, one name on the cover and one person travelling to interviews and events. We feel so fortunate to be able to share the experience. During the most intense periods of editing A Secret Sisterhood, we stayed in each other’s homes for days on end, took walks together during our breaks, and cooked each other late-night bowls of pasta. Now that our UK publication date is almost upon us, we’re working in the same room once more. This time our advance copies are stacked on the desk beside us, our names side by side on the cover – alongside Margaret Atwood’s, who generously wrote our foreword. Now available for early purchase. Every pre-order raises the book’s profile with retailers. In keeping with the theme of A Secret Sisterhood, during our years of research and writing, a great many individuals and organisations have extended the hand of friendship to us – not least the readers of this blog. Your confidence from early on that this subject deserved to be explored in greater depth inspired us to write this book. We’re hoping to meet lots of you in person during the coming months at some of our events. We’ll be interviewed by Michèle Roberts and Sarah LeFanu at Waterstones Gower Street; talking with Kate Mosse at the British Library; and delivering the keynote speech at the 46th Annual George Eliot Lecture. Details of these and other events can be found here, and we’ll be adding to it regularly over the coming days and weeks. The UK edition will be out on 1 June. The US edition, with a slightly different title (A Secret Sisterhood: The Literary Friendships of Jane Austen, Charlotte Brontë, George Eliot, and Virginia Woolf) will be out on 17 October. We’ll say more about this nearer to the time, but both editions are available for pre-order now. The US edition is currently heavily discounted if you pre-order it here. When our UK publishers, Aurum Press, asked us to find a major contemporary author to write the foreword to A Secret Sisterhood, Margaret Atwood immediately sprung to mind. The new addition of Margaret Atwood’s name to the front cover tells you all you need to know for now about her response! 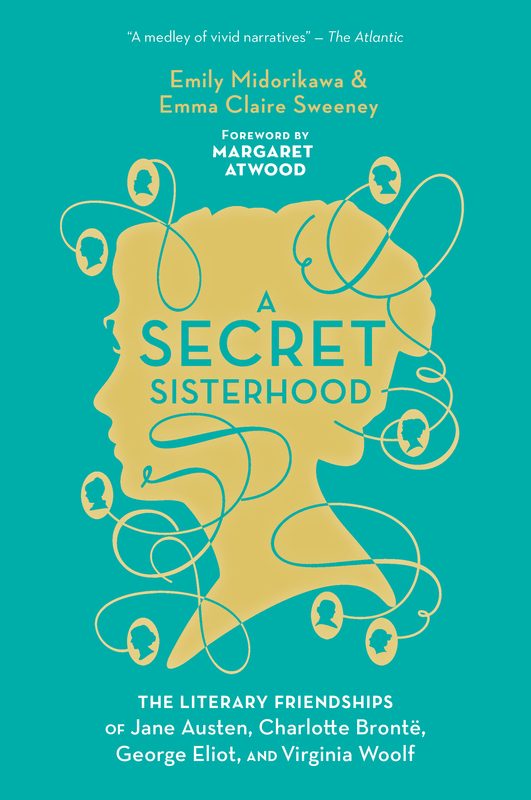 Come June 1st, A Secret Sisterhood will be available from bookshops, our stories of female literary friendship coming after Margaret’s wise and funny reflections. As you can imagine, we are delighted by this generous example of sisterhood, and are truly humbled to be sharing our cover with her. In the midst of turbulent times here in Britain, it is good to have things to look forward to. 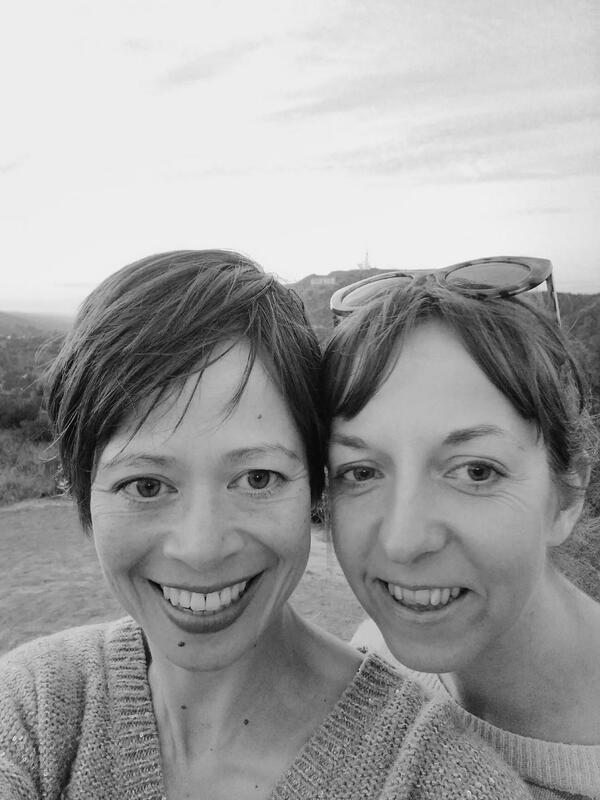 As many of our readers will know, throughout the two-and-a-half years that we have been running Something Rhymed, and more recently writing a non-fiction book together, Emma has also been working on a novel. I have written before about the joys of being able to follow the progress of Owl Song at Dawn – a project that has been a real labour of love for Emma. As a reader, I quickly fell in love with its story too, even in its earliest, least polished drafts. 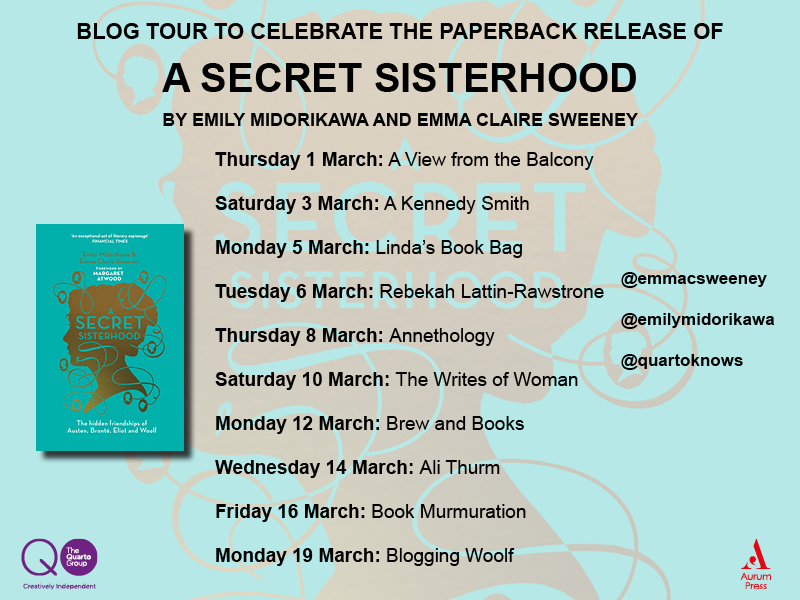 For what feels like a very long time now, I have been waiting for the day when readers beyond Emma’s family and friends will be able to share in her wonderful book. 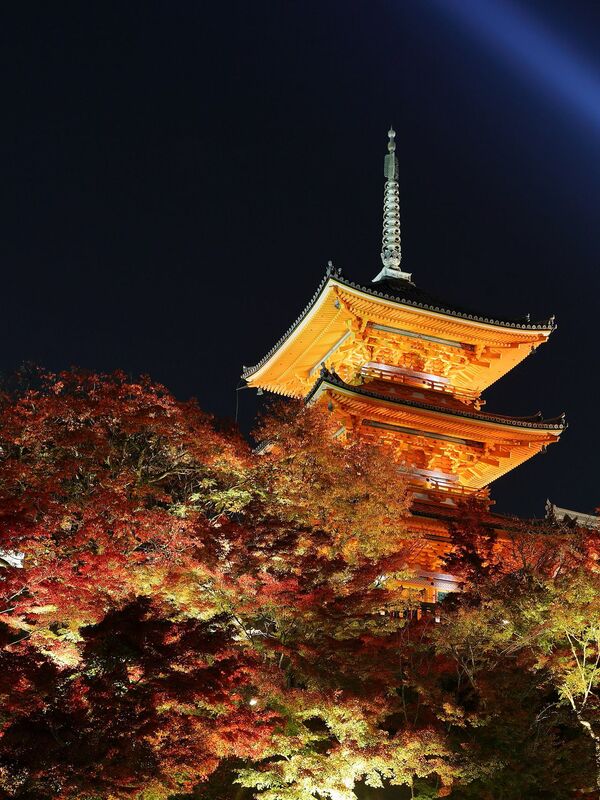 Owl Song at Dawn is a warm and deeply evocative novel. Its indomitable protagonist, Maeve Maloney – the octogenarian proprietor of the Seaview Lodge boarding house – has spent a lifetime in the seaside town of Morecambe, trying to unlock the secrets of Edie, her exuberant yet inexplicable twin. These are characters who will move you, and stay with you long after you’ve finished reading. 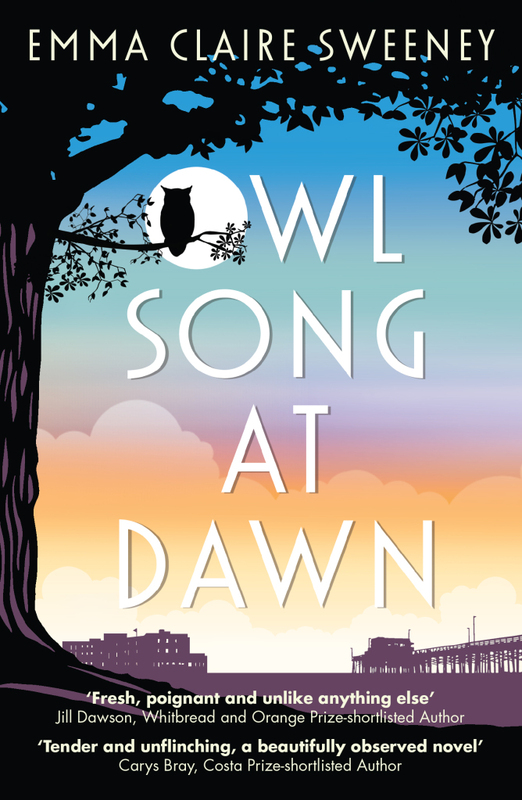 When Emma called me up to tell me that the publishing house Legend Press had acquired the rights to Owl Song at Dawn, it was a wonderful moment for both of us. While we’ve been hard at work on our joint book since then – and with Emma’s publication date creeping ever closer – it’s been fun to remain somewhat involved with her novel too. We’ve talked a lot about early drafts of book covers, for instance, and the literary events Emma has planned for this summer. Recently, I was privileged to be able to get a special preview of a short story of hers, which will be coming out at around the same time as the book. Now, finally, on the first of July 2016, the launch day of Owl Song at Dawn has arrived. And, not as Emma’s friend, but simply as someone who loves good writing, I urge you to buy a copy. The novel is available to order here. It has, in fact, been available for pre-order for several months but I confess that I haven’t ordered it myself. You see, ever since I first read a page of Owl Song at Dawn, I have looked forward to the day when I will be able to pick up a printed and bound copy from a bookseller’s display, glance at Emma’s name on the cover and then hand over my money with the lovely, satisfied feeling that my friend wrote this. After waiting all this while, how could I deprive myself of that?